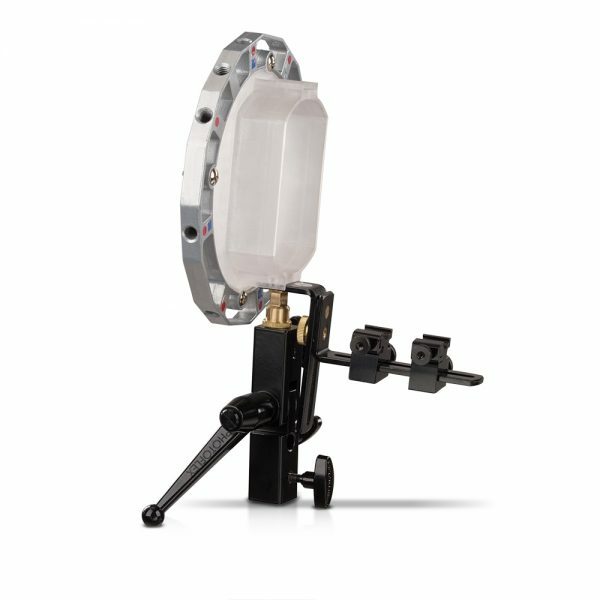 This lightweight and highly durable soft box connector with proprietary mounting design allows you to mount one or two speedlights to a soft box and retain the ability to rotate for maximum flexibility. 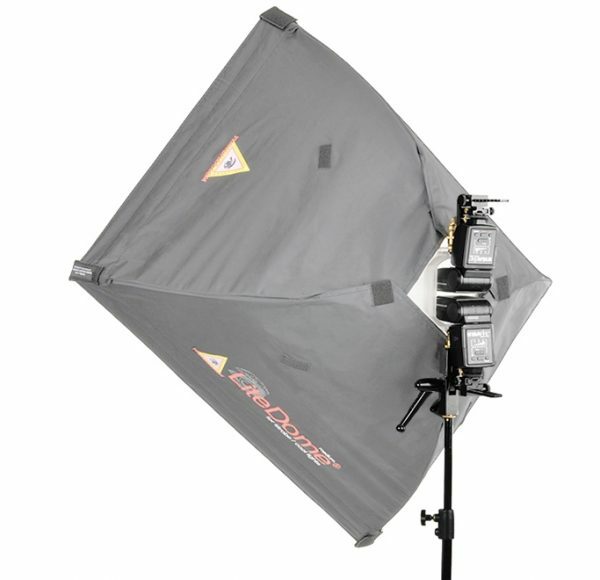 Includes a rotating soft box ring, heavy-duty swivel, and one adjustable shoemount hardware. 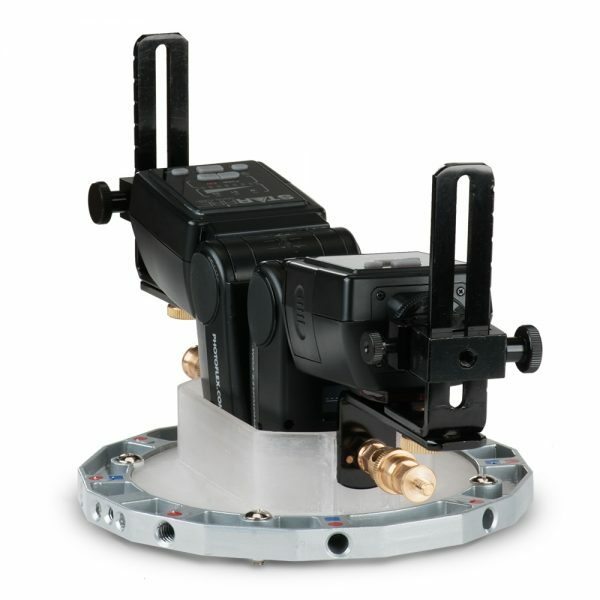 Note: Includes one adjustable shomount hardware (AC-B222SM). 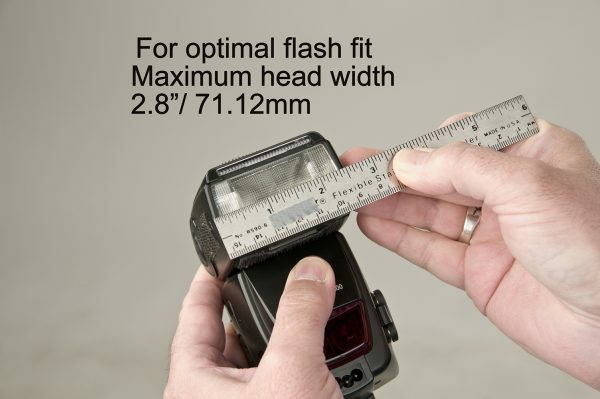 To use a 2nd shoemount flash, an additional adjustable shoemount hardware is needed.